Sentomol specialises in the supply of insect monitoring, trapping, control and behaviour-influencing systems primarily using semiochemicals. We source and develop innovative insect trapping products and promote them based on innovation, performance and expertise. Visit our Pages section to view our products or read below for industry news and events in which we have participated. 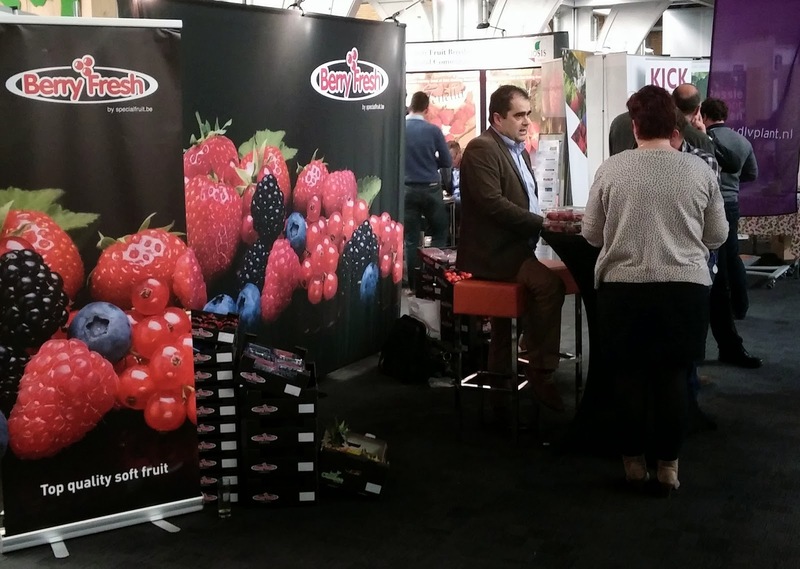 With 500 delegates, coming from 25 different countries, 16 speakers and 65 exhibitors the soft fruit industry was well was represented at this fourth international meeting held in the 1931 Congrescentrum in ‘s-Hertogenbosch, Holland. Better known in some regions as berry fruits or small fruits, the soft fruit industry comprises crops such as strawberries, raspberries, blueberries, cranberries and cherries. Several of these crops have developed rapidly in recent years and on several of the presentations special mention was made to the increased yields being achieved in modern cropping systems such as 14 Kg per m² for strawberries and 30 tonnes per hectare and 100 flowers per plant for raspberries. With such yields come the potential for increased losses. 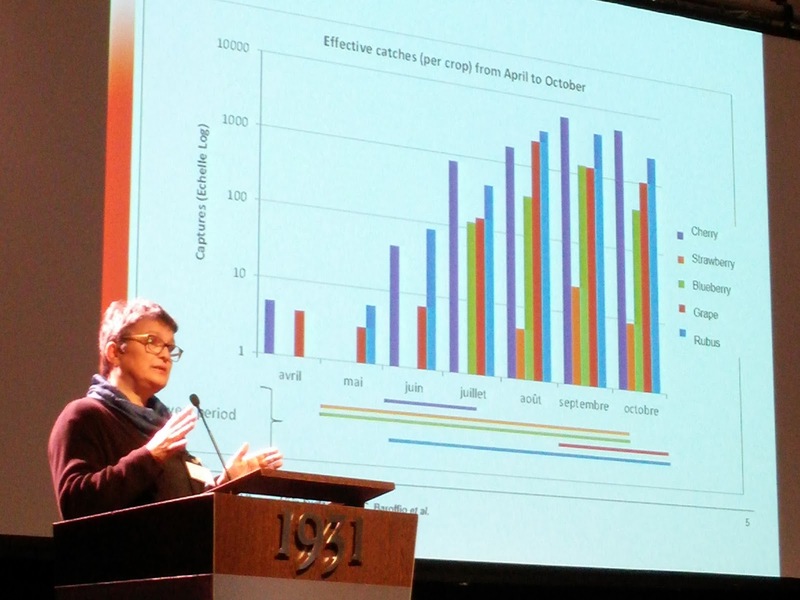 Among the presentations, 25% of the talks were directly addressing pest problems, highlighting the importance of pest management in this ever expanding and high value market. Catherine Baroffio of Agroscope, Switzerland helped start the morning session with a review of Drosophila suzukii and the three years of experience in Switzerland. Whilst it has not reached pest status in all European markets, it is well established across all of Switzerland. The Spotted Winged Drosophila (SWD) is normally found April to October but Catherine reported that adult insects were still being caught during this mild winter. Mass Trapping is being encouraged to growers as an all year round approach, using traps at boundaries to plantations between the nursery perimeter and the crop with only a few traps located inside the plantation, if at all. Many trap designs are in use, some better for monitoring rather than mass trapping. Whilst good attractants were available none yet provided the ideal combination of an attractant that limits attraction to only D suzukii and a trap that prevents ingress of non-target species. Catherine revealed how mass trapping was being developed as a technique and if combined with good sanitation appears to give reasonable control of the fly. Catherine expressed concern however about the ability of the pest to survive in natural hedgerows and that private gardens and wild areas do represent a huge reservoir for the insect. Gijs van Kruistum of Waginengen Plant Research looked at thrips control. With the label changes to Decis (deltamethrin) in the Netherlands limiting applications on strawberries to three sprays pre-flowering, growers are keen to find solutions for thrips. Five species Aeolothrips intermedius (banded thrips), Frankliniella intonsa (Intonsa flower thrips (IFT)), T tabaci, Thrips fuscipennis (the rose thrips) and T. Major are all of concern, with the latter two most common in open field situations. Gijs reviewed efforts at attracting Orius majuscules (Reuter) as a natural predator into crops and the use of white film mulching to provide protection against thrips. Both options showed good possibilities. With the removal of methyl bromide and the need to maintain a viable certification system for plant material, a physical approach to pest control has been developed and was explained by Bert Evenhuis also of Waginengen. Strawberry plant material, produced by Dutch growers mainly for export, on ac 1100ha, in The Netherlands, must be destroyed if Strawberry Tarsonemid Mite (Phytonemus pallidus) or infection by the plant parasitic nematode Meloidogyne hapla is found by the Dutch Quality Board. The presence of tarsonemid mites in plant material can result in a considerable loss of production. Until 2007 mother planting stock was treated with methyl bromide (MeBr) to eliminate tarsonemids but this was banned in 2008. From 2007 Controlled Atmosphere Temperature Treatment (CATT) was developed to provide a non-chemical and sustainable method for future disinfestation. By using CATT for 48hrs at a temperature of 35°C and 50% CO₂, mortality of the tarsonemid mites is over 99.8% and there are no harmful irreversible results of the CATT on the vitality of mother plants. Since 2009 CATT has been up-scaled to a commercial level and widely applied by Dutch producers of planting stock. Bert also considered the potential for the spread of Xanthomonas fragariae and whilst CATT does not control or eliminate Xanthomonus (if plants go in infected they come out infected), spread within the treatment chamber does not occur between infected and uninfected plants, unless there is a very high pressure. Among the busy exhibition hall, were stands from Biobest, Koppert, Alton Horticulture, Viridaxis and Vlamings. Rianne Lek of Koppert explained about the NatuGro system (abbreviation of Natural Growing). Using the soil as a starting point, the system uses a four point approach including micro-organisms such as Trichoderma harzianum T-22 (Trianum); products that stimulate the beneficial organisms present in the soil; analyses of the microscopic life present in the soil or substrate; and personal, tailored advice. Koppert makes a distinction between bacteria, fungi, protozoa (single-cell organisms) and nematodes living around and interacting with the plant’s roots and their new products steer the underground ecosystem in the desired direction and monitoring the effects via soil analyses. Meanwhile at the other end of the hall, Lode Van Schaeren of Biobest was answering questions about the Flying Doctors programme and the Nutramite product. The latter is based on eggs of stored product moths of the genus Ephestia and helps establish predatory mites early in crops and get a head start before pests arrive. Nutrimite is used for pollen feeding phytoseid predatory mites: A. andersoni, A. californicus, A. cucumeris, A. degenerans and A. Swirskii, to accelerate and enhance population development and to help populations survive periods of low prey or pollen. 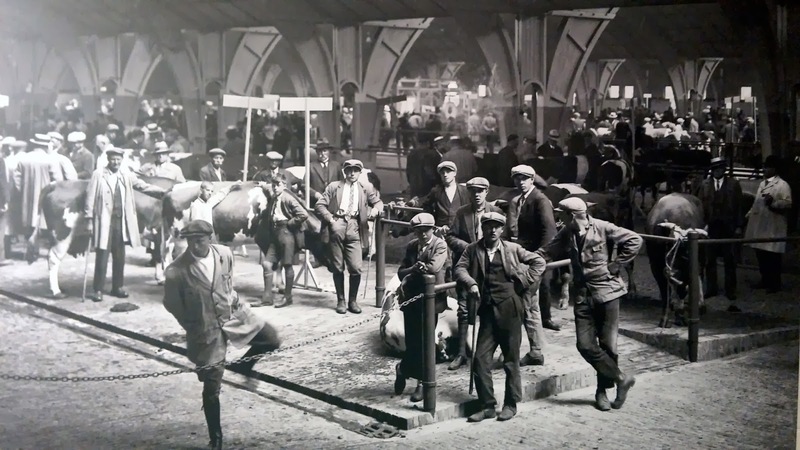 Hugh Struth from Aston Horticulture has a long history of promoting garlic as a plant treatment. The benefits of garlic are long documented and there is anecdotal and user evidence that supports its use to boost a plant’s ability to withstand pest attack. Aston products are a method of growing crops with zero residues in a sustainable way, reducing or eliminating the need for chemical treatment. Further opportunities for horticulture to improve garlic’s green credentials lie ahead, especially in the production of edible crops, including soft fruit and top fruit, protected salads and field vegetables. Growers must adhere to the protocols that have been developed for success with Aston products. The use of garlic in conjunction with crop management systems, leads to a much reduced reliance on conventional pesticides with the added benefits of a reduction or elimination of pesticide residues in the resultant food crop. Viridaxis, a Belgian company specialized in mass production of parasitoids to control aphids in a natural way were on hand to discuss aphid parasitoids. Viridaxis hold an exclusive patent for biopolymer capsules containing powdered crustacean and algae extracts that reproduce the physiology of the aphid. The parasitoid is lured to the target by an ingenious concoction of odours, laying its eggs inside the capsule. The artificial food inside the capsule allows the parasitoid larva to develop as it would in a real aphid. Vlamings is a Dutch supplier to farmers and growers with a portfolio that includes fertilizers, crop protection, seeds and seedlings. On the stand, Vlamings were promoting their own Drosophila suzukii trapping system (see www.drosophila.nl). D suzukii was first found in the Netherlands in 2012. The Vlamings trap utilises a small bottle with a horizontal bar entrance tunnel that helps eliminates non-target pests. This coupled with the special liquid attract and tablet formulation, is claimed to be more attractive and selective than apple cider vinegar. With the mild winter temperatures, flies were still being caught in January and the testing programme will be continuing in 2014tohelp develop an optimum monitoring and hopefully effective mass trapping solution. On the Friday following the event, in what the organisers expected would be a field trip for 30-40 people, plans had to be hurriedly amended as 180 people expressed an interest in attending the nursery visit. An overwhelming number which was bravely and successfully accommodated. Finally as successful one day event drew to a close, the organisers issued a special thank you to the companies that made the conference financially possible; principal sponsor Swissgrow-Campag, the four co-sponsors, Bayer CropScience, BerryFresh, Genson and Plant Sciences and the many “Friends” of the ISFC. All presentations are published on the website http://bit.ly/1j8Pr92. Labels: den bosch, drosophila suzukii, raspberry, soft fruit, spotted winged drosophila, strawberry. © Sentomol Ltd. Simple theme. Powered by Blogger.